We searched all over Hoboken for a unique looking storm drain and finally found this one - right on a busy corner in downtown. It was a beautiful sunny day and the streets were crowded. Decided on the colors and mixed them to form a rich army green which looked awesome with the gold lettering. Had to basically lay half way into the street and paint the fine numbers. Dodging traffic is part of the fun, but this time there weren't a ton of cars passing by. A curious onlooker came out of the post office to see what was going on. We chatted about textiles and canvas and he mentioned working for the Campbell Foundry when he was young. Mostly because of pollution and cost, many of the local foundries closed, including Campbell. Now most are imported from India or Brazil. He waited to see the print and got excited to see it was one of the originals. Glad to say we could preserve a piece of Hoboken history. 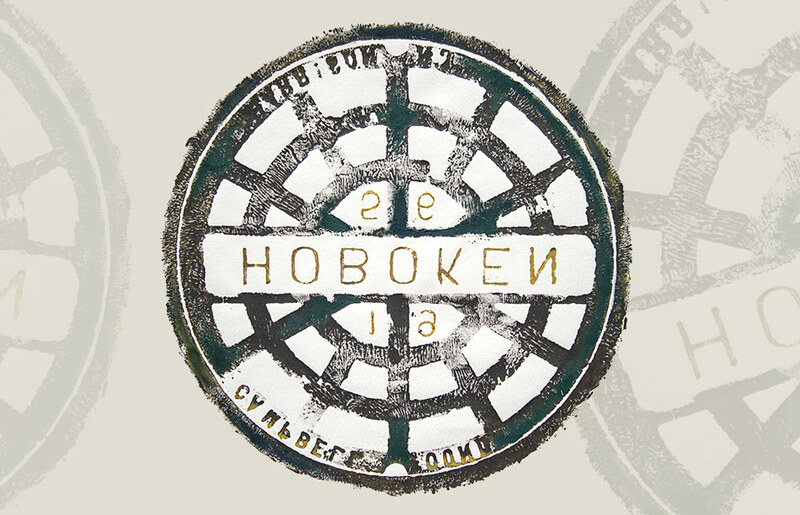 Original Artwork made directly from a utility cover in Hoboken, NJ.